Mariel and Narmon wanted a colorful and hip event, so they hired Sweet Peach Planning and settled on Howl's super cool and modern space in Long Beach, CA. Cali Craft Cocktails mixed up delicious and lovely beverages to compliment the food truck fare. The festivities were stunningly captured by Jaime DeMagno of To Hunt and To Hold Photography. For added fun the couple hired Photonometry Photo Booth for which I had a blast creating a backdrop of boards with florals and spray paint. Made me feel like I was back in art school. It truly was a pleasure working with this couple. 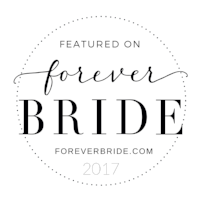 They're warm, happy, very much in love and utilized "friendors" wherever possible, like with desserts and the floral hoops the bride designed. I love when weddings are so personal. It makes them all the more special.